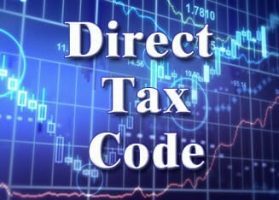 Direct Tax Code (DTC) is a move towards rationalization of direct tax structure. This code is a single code for all direct taxes including wealth tax. The overall aim of the new direct taxes code is to lower income tax rates, and more taxpayers. There is a possibility that DTC could be implemented from FY 19/20. Lower tax rates and liberal tax slabs could also mean more compliance, resulting in a so-called virtuous cycle, meaning more people pay taxes. The aim is to get more people to pay direct taxes (currently only 4.5% of India’s 1.3 bn population does) and take the direct tax-to-GDP ratio to as close to 18% as possible. At present, about 20% of GDP is out of taxation on account of exemptions given to agricultural income, which will continue in the proposed new direct taxes code as well. Other tax exemptions, and varying slabs, account for another 20% of GDP from the direct tax base. A 30% tax on the remaining 60% of GDP should have brought in around 18% of GDP. The current direct tax-to-GDP ratio is 5.6%.Including direct taxes and indirect taxes, this is currently 10.8% of GDP (excluding state taxes) but likely to increase because of GST introduced this year. It is a long-term vision that needs a robust and calibrated plan to make it a reality. Under DTC, income from all sources, including capital gains from stocks, maturity proceeds of insurance policies and even the PPF had been proposed to be taxed in the initial draft. There was also no distinction between short-term and long-term capital gains. Under DTC, income from all sources, including capital gains from stocks, maturity proceeds of insurance policies and even the PPF, was proposed to be taxed. In order to reduce the complexity the DTC has been drafted in a unique manner. The related sections have been grouped under the respective chapters only. For eg. exemptions related to salary would now fall under the head “Income from Employment”. Finance minister Arun Jaitley may give an idea about the broad contours of a comprehensive direct tax reforms in the union budget 2018-19 that the government intends to rollout later during the year. Once DTC bill is passed in the parliament it will embark the ending of IT Act. If we can site an example of how DTC could work out, if under DTC basic exemption limit is increased to Rs.5 lakhs, tax savings investments is increased to Rs.3 lakhs & tax slabs are increased to 10% upto Rs.10 lakhs & 20% above Rs.10 lakhs then for a person earning Rs.15,00,000 annual income, under DTC tax liability would come to Rs.90,000. This would be marginally lower than what is currently. Most of the exemptions would be withdrawn & one consolidated income would be taken into account.